You cannot recognize them from other, ordinary moldavites with the naked eye. Their uniqueness is not on the outside but it lies in their sound when chimed against another moldavite or any other hard object. They emit specific, unusual metallic sound. Hence their name but they are also known as singing moldavites. 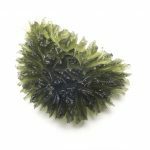 As you can see for yourself below, angel chime moldavites make a very different sound than ordinary moldavites when dropped on a hard mat. (If you intend to try that, do not drop them from a great height as they might get damaged). They also emit a specific sound if you stroke them – run your finger on their surface. 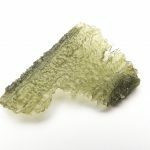 This is something you will not hear when manipulating an ordinary moldavite. Scientific explanation of this phenomenon is a higher, specifically distributed inner tension of such stones. Their shape if usually somewhat elongated, or they tend to be flat and thin. However, the shape is not a reliable indicator, as other moldavites of such shapes might not chime at all. 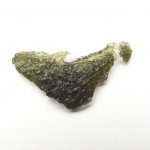 The occurrence of such moldavites is very rare since only one per cent of moldavites have such property. I have handled several thousand moldavites and my estimate of the percentage would be even lower – more like several pro miles, i.e. 1 to 3 chiming moldavites per thousand. 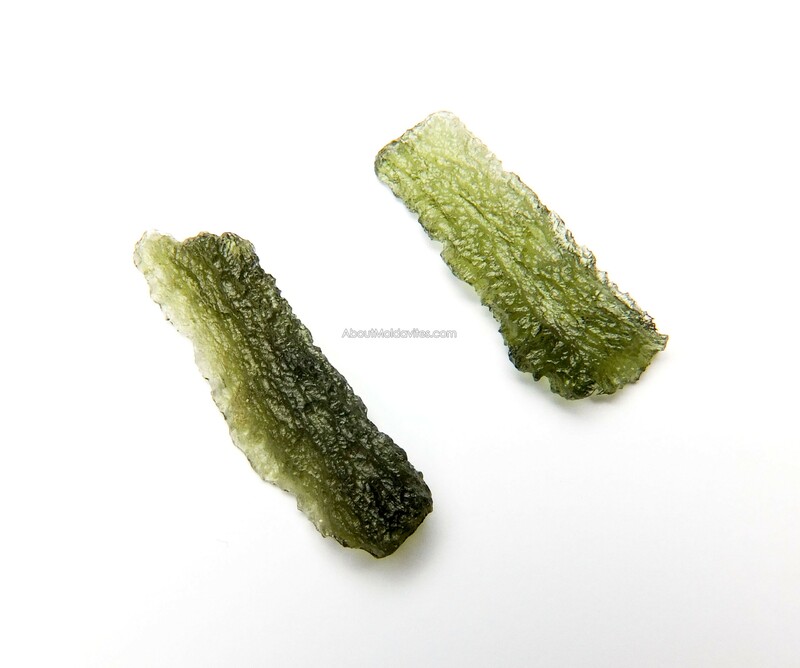 Angel chime moldavites are considered the most powerful form of all. They have a higher vibration than normal Moldavites. 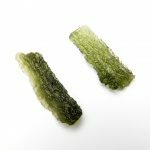 These Moldavites have the unique ability to attract high orders of Angels to work with you in healing. 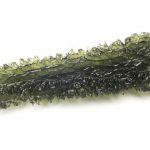 ← Can moldavites get wet?